How Far is Eco Nest Green Village? Welcome to the extravagant scenic splendour; Eco Nest Developers (I) Pvt. Ltd. introduces “Green Village”. Here’s your opportunity to own an ideal table plot, developable land on rich soil, which is surrounded by mountains on three sides. We have particularly chosen the location, as it is close to nature, with exotic and picturesque scenery, and is absolutely apt for second home options and a full fledged resort as per the proposed plan. The vantage location offers plots for spacious, luxurious and congenial rooms and a resort, with high class amenities, mouth watering delicacies in the cuisine, conference facilities and multiple surprises on a platter for leisure stays for the owners, and to replenish themselves, energise and get enlivened for the rest of their life. Experience the thrills of indulging in the beauty of nature! - Just break free to the new world that lets you take back memorable experiences of swimming in the most refreshing translucent azure waters, rediscovering self in the idyllic and serene locations, relaxing and de-stressing completely, and replenishing with utmost joy; relishing ultimate pleasures and fulfilling long craving desires of breathing freshness every time. Discern the pleasure of your precious holidays, leisure trips and weekend stays in the most breathtaking atmosphere. We, Eco Nest Developers (I) Pvt. Ltd., are a fast approaching Land Development and Construction company. We have gained humble recognition from our hospitality business, particularly, our known brand in Mumbai – Take Away Food Express, which is a dedicated food business, serving as parcel counters, since 2006. We have established exclusive joints at two prime locations in Vasai and Mira Road, in Mumbai, India. The name has earned recognition for its mouth watering and delicious delicacies, which also enables one to just take away food parcels and enjoy them with their family. The core objective is to let everyone enjoy true tastes and flavors of life with family, acquaintances, friends and folks. Now, we have forayed into Land Development and Construction segment, with an endeavor to offer one and all their share of exemplary and classic space in our properties and develop them, as second home substitutes. Every property will be developed with ultra modern facilities and amenities to match class and style of every plot owner. We will ensure that the quality standard of the constructions is notched up to highest echelon to justify investments of the people, making them ultimate space of pleasure for different strata. 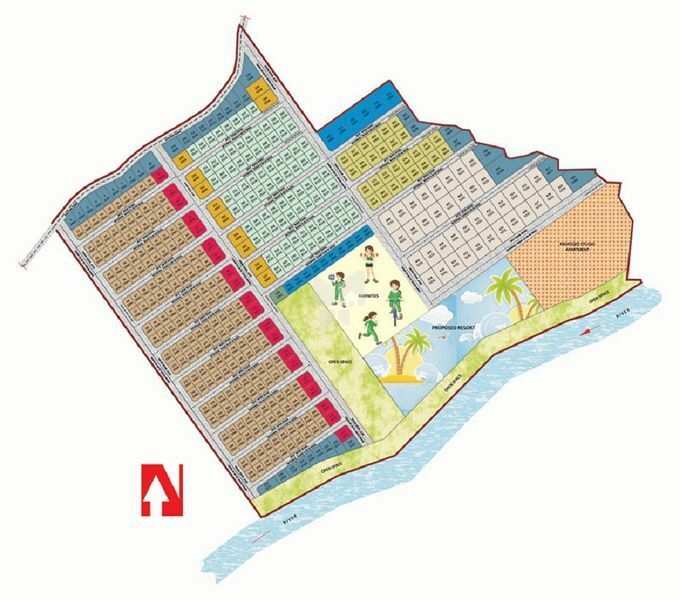 Our effort is to create and develop properties of your choice that are easily affordable, by making the plots available at unprecedented prices. Apparently, you may avail the perfect opportunity of owning your realm of bliss amidst astoundingly beautiful and natural milieus such as lush and dense greenery, mellifluous sounds of cascading water in the forms of waterfalls and river, chirping and tweeting birds, gigantic and breathtaking mountains, ethnic and beautiful hamlets and natural landscapes. The seed of the idea was sown by a vibrant and dynamic entrepreneur - Shri Nilesh Prabhu and the enormous task of building second homes for others, along with him, has been taken by the other Management Professionals of Eco Nest Developers (I) Pvt. Ltd. Thus, the management is replete with indomitable strength, tenacity and aspirations for people, to realize others’ dreams. Needless to say, we have a team of experts to physically develop and construct plots, and they are specialized in residential, industrial, commercial and contracting services, with additional adeptness in structures carrying heritages status. Our team is adequately experienced and professional, executing with dedication, reliability and integrity. We understand the entirety of the fact that processes of construction is a complex dimension that may pose numerous challenges, being relatively expensive to afford, but our venture is to simplify it for all those who will own properties for the first time or those who may be extensively experienced property owners. Our customer-centric value and philosophy of coherence, which reflects consistency, unity and rationality, focuses to realise our core objectives and aspirations of the property owners. Our aim is to build relationships through letting people own plots and properties, benefit priceless dividends of happiness and joy. Through our Land Development and Constructions, we desire to give optimum opportunity to all to own their property in the most prolific projects that will ensure sublime happiness and joy forever. Our vision is to blend innovation, entrepreneurship and professionalism to benefit our clients, investors and counterparts. We envisage consistency and sustainability in the business. In addition to it, the organization executes with the virtuosos of hired expert services, which demonstrates the diversity of the company’s strengths.